Listen to this audio... 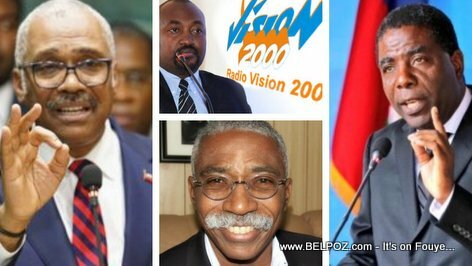 Vision 2000 Journalist Valery Numa says: "had it not been for Jack Guy Lafontant, Enex Jean Charles would go down as the worst Prime Minister in Haiti's history." So in other words, Valery Numa believes Jack Guy Lafontant tops Enex Jean Charles as worst Haiti Prime Minister. The man laughing in with the journalist is Senator Patrice Dumont who was being interviewed at the time.